The next day in Pogradec I enjoyed my complimentary breakfast of toast, fried eggs and Turkish coffee before departing the hotel. 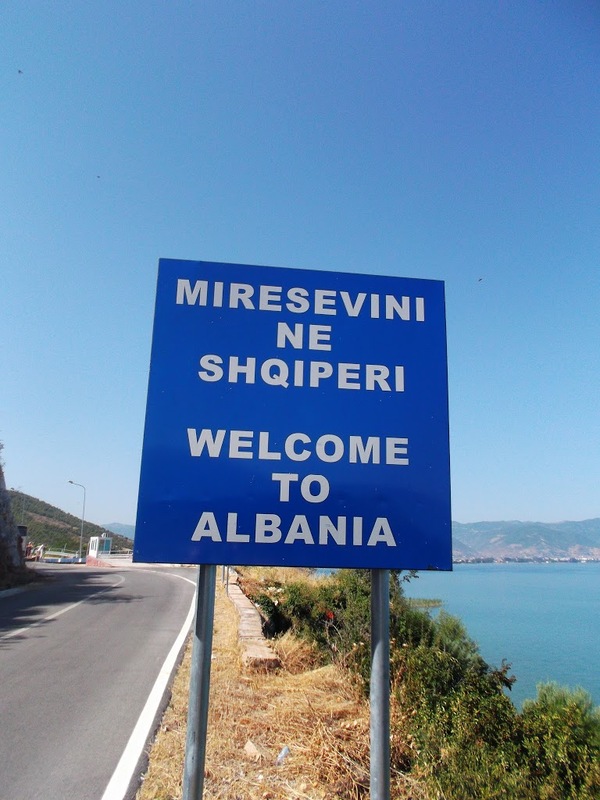 It was a nice, hot sunny day for my last few hours in Albania. Back in Gjirokaster upon first arriving in the country I had bought a number of postcards of places I had intended to go and had intended to write and send people. Some of the places I had not gone to, favoring a longer jaunt in the mountains to spending more time on the beach. I had written messages on the postcards over the past few days, but had not managed to make it to a post office. As my final task before leaving the country I had to send the postcards I had bought upon first entering the country. Like all my trips to the post office, this had put me in a sweat for the past few days. But I really wanted to send the postcards with an Albanian stamp on them instead of a Macedonian or Turkish stamp, so I had to find the post office. I stood in the wrong line for a bit and then other people shoved in front of me so I had to wait a while, but I eventually was able to send my postcards. I then set out for the border. I had been told that buses to Ohrid were about 25 Euros, which seemed a bit expensive for such a short trip. I decided I’d take a taxi to the border, and then try to find a ride to Ohrid from the other side of the border. My haggling skills weren’t as good as the day before, however, and I had to pay close to ten Euros for the cab to the border. I didn’t get a photo like this coming in so I got one on my way out! This was the first time I had ever crossed a border on foot and I was happy to have a new experience. This trip for me had been my most nomadic, more nomadic even than my Balkan adventure two years before. I hadn’t spent two nights in the same place since Sarande. It seemed fitting that I should cross the border on foot, either walking or hitching a ride to the next town. 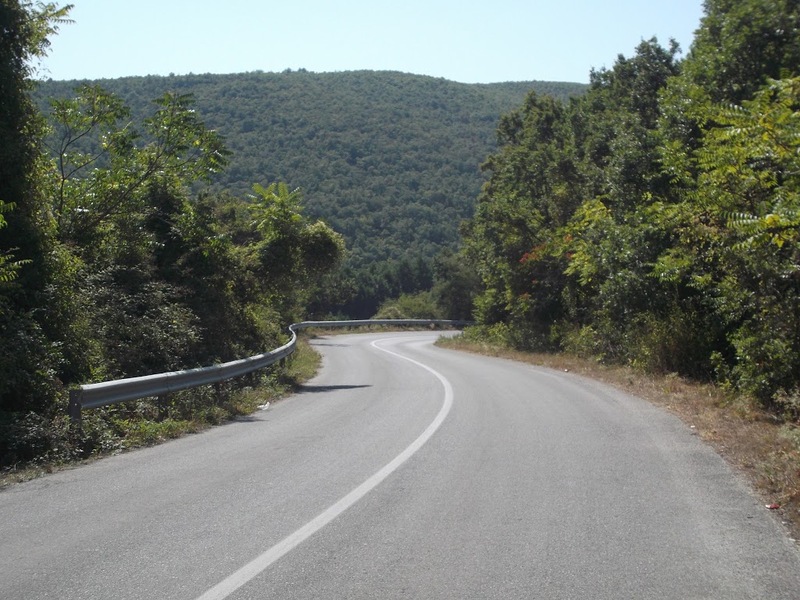 After getting my passport stamped and entering Macedonia I started down the road for Ohrid, sticking my thumb out the few times I heard a car coming up behind me. Unfortunately, though, I wasn’t getting any takers. After about an hour of hiking down the road in the hot sun I began to question the wisdom behind my decision. I hadn’t seen any signs for Ohrid and on my previous visits had noted that it was actually a sizeable lake. This could be a long walk. If only one of the cars would stop and pick me up! Alas, nobody was picking up hitchhikers that day. Eventually, though, after seeing a sign indicating that Ohrid was 35km away, a taxi pulled up. Hitchhiking probably would not work out well that day and I wasn’t too keen on walking all the way to Ohrid, so I got in the cab. The driver charged 20 Euros for the ride in to Ohrid, so maybe I should have just gotten a bus from Pogradec. The driver chatted the whole way telling me that Ohrid was very beautiful and didn’t have mosquitoes because it was in Macedonia. But Pogradec, jeez, don’t go there, you’ll get eaten alive. All the mosquitoes on Lake Ohrid stay over in Albania, apparently. He dropped me off in downtown Ohrid and I went about trying to find information about getting to Istanbul. At the bus station I asked the surly woman at the ticket desk if there was a direct bus to Istanbul. No. I asked if there was one from Skopje. Yes. Do you know when they leave? No. Can you call and ask? No. So I left the bus station, frustrated, to return again the next morning for an early bus to Skopje. Walking out of the bus station I was attacked by the ladies advertising guest houses. I didn’t know where I was sleeping that night and had planned on just going to the Sunny Lake Hostel where I’d stayed with Matt the Canadian and had met Markthe Artist back in November 2010. But I’d had such a good time in guest houses over the past two weeks and the guy was only charging seven Euros for a night, so I figured why not. He was an odd man. At one point walking to his house we passed someone that he knew who didn’t say hello back to him. Do you know what has just happened to that man? What? No. He just came from the clerks and so he is devastated. I laughed. No, it is not funny. Everyone is always being devastated after talking to the clerks. It is a big problem in this country. Ohrid has the worst clerks in Macedonia, they are very rude. They are worse than other places. He was one of these people who always gives a running commentary on the things he does. I am putting a sheet on your bed. Now I am finding a pillow for your bed. Or, when drinking a glass of water, this water from the refrigerator is too cold so I am mixing it with water from the tap. He said that he read coffee grounds so he made me Turkish coffee and read my cup. Apparently I had a huge burden on my back. I had also been too proud with a girl who was very tiny and my wish would come true but first I would need to overcome my enemy. So I went to the beach and drank Staropramen. Imported Czech beer: clearly I was no longer in Albania. I tried to make the 7:30am bus the next morning to Skopje because I knew I had a long day ahead of me. I missed the bus by about five minutes though, and had to kill three hours in the Ohrid bus station waiting for the next bus. 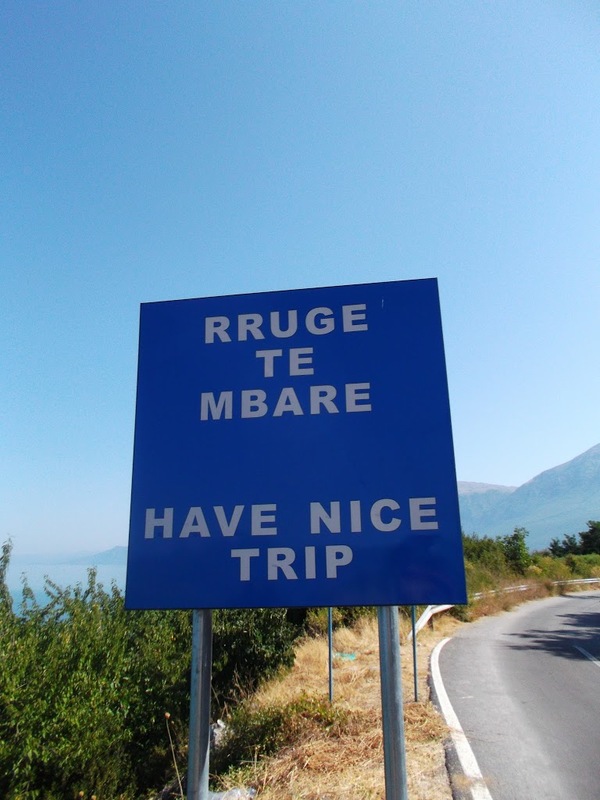 Had I been in Albania the bus probably would have turned around for me. I’m quite fond of Macedonian wine, so I wasn’t feeling the greatest on this early morning in the little bus station miserably downing espresso after espresso. After the long wait and then the three hour bus to Skopje, I was ready to be done with my bus journeys for the day. Skopje isn’t my favourite Balkan town, though, so I didn’t want to spend time there. I got a ticket for the next bus to Istanbul, but had another two hours to kill before the bus left. The bus station in Ohrid may be boring, but the one in Skopje is an exceptionally ugly, miserable building. A big grey concrete structure surrounded on all sides by big, polluted busy roads. I hadn’t eaten yet that day so I set about trying to find something to eat within my budget of my remaining Macedonian Denars. I found somewhere serving hamburgers, but it was so foul I threw it out halfway through and opted for a bag of pretzels and a bottle of water for dinner instead. Finally the bus left at 5pm. It had been a long day of waiting in bus stations and I wanted my day to be done. On the trip to Istanbul I was sitting next to a young boy who was studying somewhere in Istanbul. In front of me was a mother with a young daughter, and across the aisle were her two older children. After a few hours I realized that the rather attractive older daughter of the woman sitting in front of me was staring at me quite intently. I returned her glances and gave her a smile. At the Greek border crossing and again crossing into Turkey we spoke a bit outside of the bus. She had very little English but spoke some Turkish. After having wandered around for a while and not hearing any Turkish I’d nearly forgotten everything I’d known a month before, but we had simple conversations. She was Anita, 20, her family was from Tetova, Macedonia, and they were going to Istanbul for a five day holiday. I didn’t know anything about Tetova but she told me it was a very boring place and everyone there was small minded and knew everyone’s business. The boy sitting next to me spoke Turkish as well. Anita’s brother was sprawled out on the chairs across the aisle so she sat in the aisle talking to the other boy, smiling at me. After so many frustrations over the course of my trip and then such a miserable day in bus stations, an innocent bus romance was good to lift my spirits. Around 4am I finally managed to doze off. When I woke up, I realized that the boy had gotten off somewhere. Anita also wasn’t across the aisle anymore; she had taken the boy’s seat next to me. When she saw that I was awake she put her head on my shoulder. But then her mother woke up, scolded her, and sat in Anita’s former seat so she could keep an eye on her. Anita resorted to holding my hand out of sight of her mother. The bus rolled in to the Otogar around 7am, after about a 13 hour journey. I told Anita how to navigate the tram and metro in to the center. She gave me her phone number and told me that I was a good boy; I wished her well on her holiday and got on the metro. Back in June before camp I had moved out of my apartment. In August after camp I had only been in Istanbul for a day before heading down to Izmir and Çeşme and had stayed with a friend, so I wasn’t quite sure where I was going. Once again I was reminded of how strange it is to be homeless where I live. I sent text messages to five different friends hoping for a couch to sleep on for a few days before I went to camp, but I didn’t have any luck. I had a friend in town from my days of teaching in Prague. Brian the Boddhisatva. 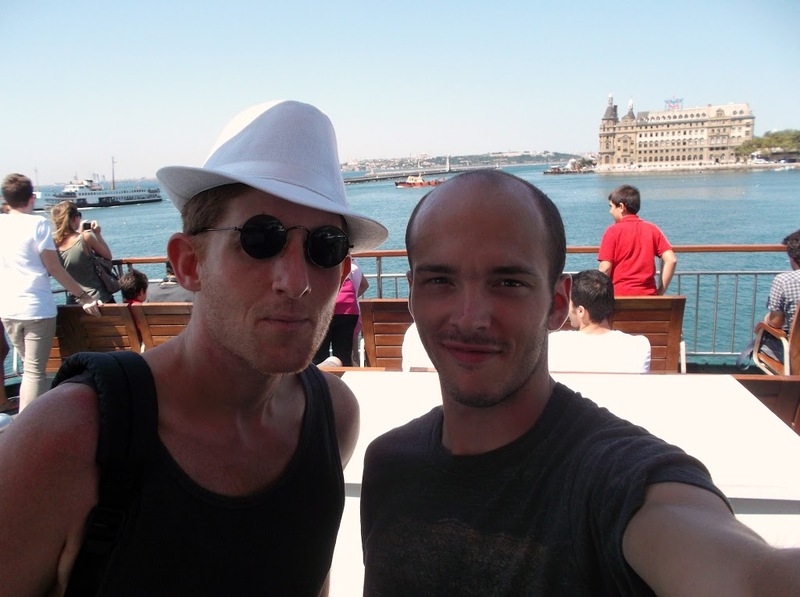 He had been in Istanbul for most of my time in Albania and I figured out the hostel where he was staying in Sultanahmet. I just barely managed to catch him, because he was flying out of Istanbul that afternoon. Brian hadn’t explored the Asian side of the city so I took him to Moda to have breakfast on the sea. The sun was out and it was nice to be back in Istanbul. The city gets oppressive at times; the constant stress, the traffic, people everywhere, but after being away from the city for basically two months, having breakfast and tea on the seaside, catching up with an old friend was a wonderful welcome home to Istanbul.